Rotary Park also know as Gussie Field Watterworth Park, was once again host to Joni and Friends. 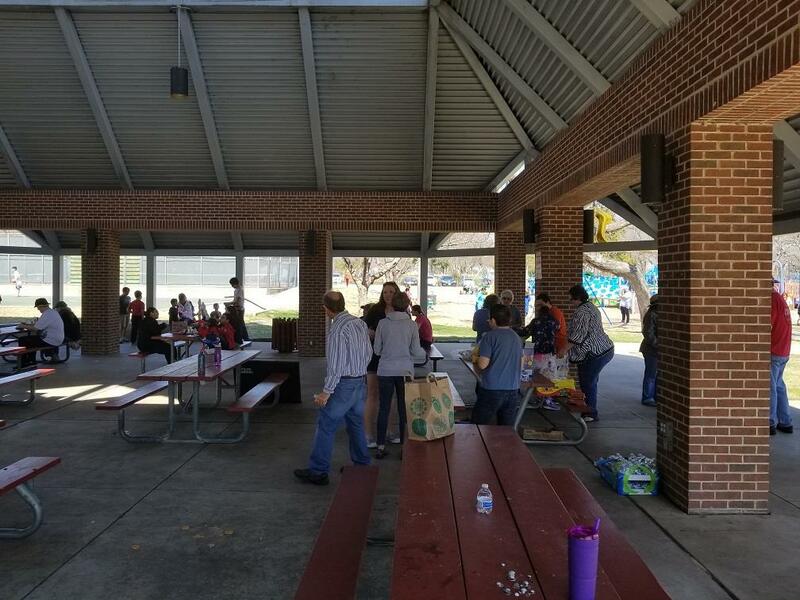 Joni and Friends is an organization that supports people and families with disabilities. 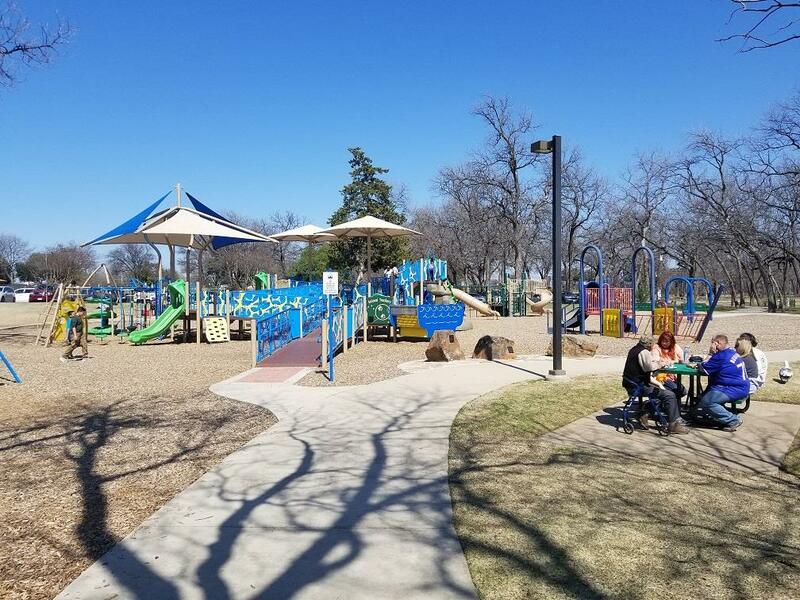 They gathered at the pavilion which is adjacent to the fully accessible playground and park that our club, the Rotary Club of Farmers Branch and the City of Farmers Branch dedicated almost two years ago. Children of all ages with special needs can play along with their siblings and family members. An adult volunteer that is wheelchair bound said that this was the first park that he could access all the way to the top. It was a fun filled day. 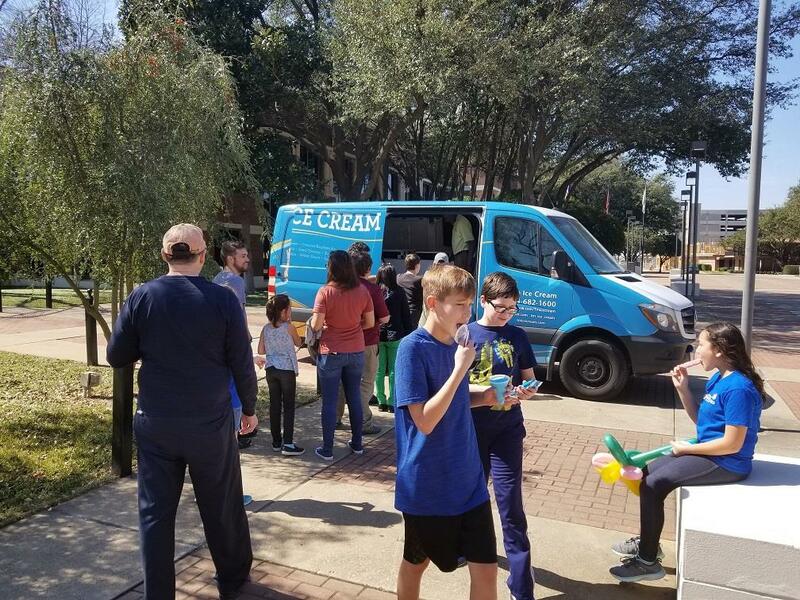 Our club was honored to sponsore the Ice-cream Truck.